It was originally occupied by a vast complex of thermal baths dating back to the 4th century AD, a fact gradually revealed through a series of archaeological excavations carried out since the 1940s. State owned and managed by the Centre for National Monuments, the site was originally occupied by a vast complex of thermal baths dating back to the 4th century AD, which was gradually revealed through archaeological excavations conducted since the 1940s. A tithe house, religious and private structures have been housed under the same roof in medieval and modern times. In 1513, Balthazar de Sade had a hôtel particulier (detached private house) built in a combination of Gothic and Renaissance styles. The site as it appears today is the result of a joint effort of consolidation and restoration carried out on the buildings in the early 20th century by the architect Jules Formigé and Henri Rolland, Director of Antiquités de Provence. 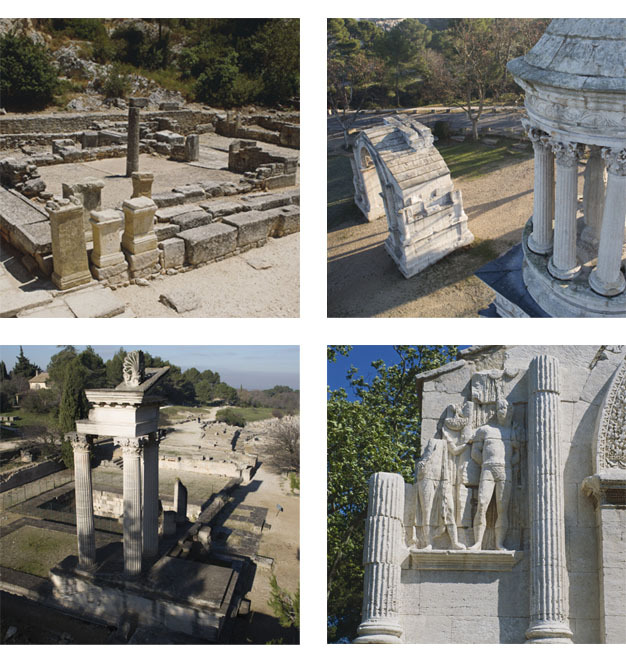 The aim was to conserve Glanum's archaeological collections there and attract researchers. 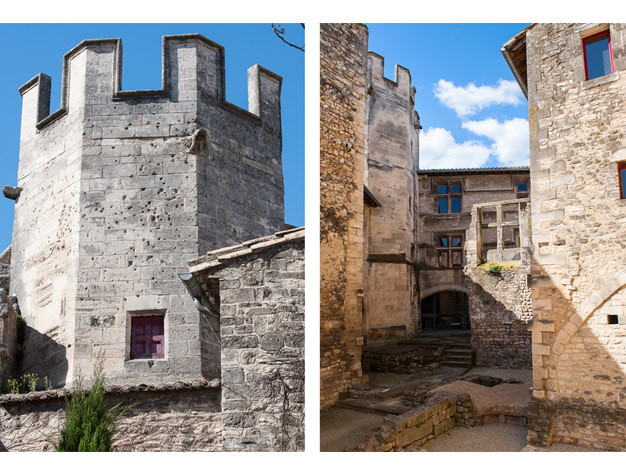 Located in the heart of Saint-Rémy-de-Provence's old town, this hôtel particulier demonstrates the power of the de Sade family, which was ennobled by the pope in the 14th century. The famous Marquis de Sade (1740-1814) was one of many descendants of the person who built it, but he never resided there. The "divine marquis" grew up not far from there, in the Château de Saumane (Vaucluse), where he was introduced to licentious living by his uncle. He lived some of his life at the Château de Lacoste, located in the Luberon region, near Apt, where he initiated significant refurbishments. It was to this house that he fled to escape the critics and the many controversies raised by his writing. He lived out his last days confined in the Charenton asylum in Île-de-France, where he died in 1814. In the late fifteenth century Balthazar de Sade (1461-1518) had a mansion built in the purest Renaissance style in the heart of Saint-Rémy-de-Provence. This event completed an exceptional cycle of buildings consisting of a remarkable series of civic monuments (ancient baths, mediaeval tower and tithe house) and religious monuments (Notre Dame de la Tour church, then St. Peter's Church in the Middle Ages and the Chapel of the Black Penitents in modern times). The buildings were acquired and classified as monument historique (listed building) by the state in 1929 under the joint action of Jules Formigé (1879-1960), chief architect of historical monuments, and Pierre de Brun (1874-1941) , founder of the Alpilles Museum, which saved them from ruin. 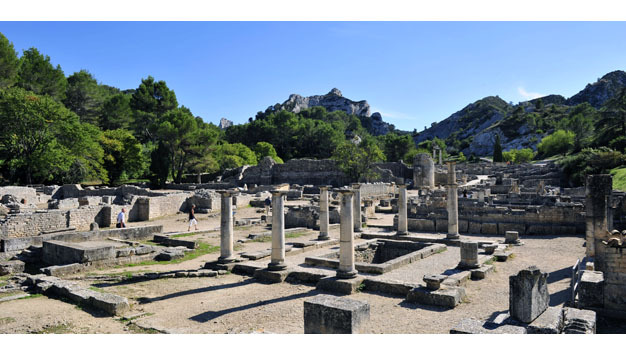 From 1954, under the leadership of Henri Rolland (1887-1970), the Hôtel de Sade became the archaeological repository of excavation findings from the Glanum site whose collections were presented to the public in 1968. 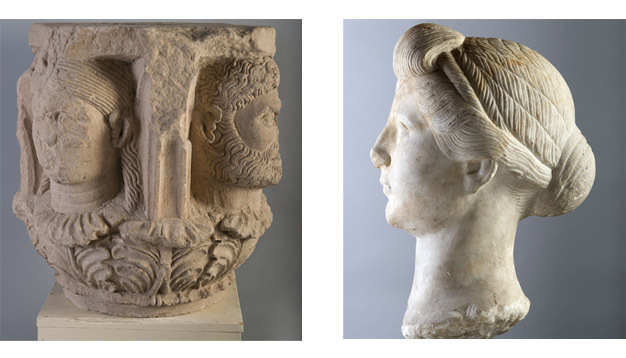 It now presents part of the collections of ancient sculptures from Glanum. The monument also offers a tour of the excavation in the laboratory, which allows you to discover the various stages of archaeological research conducted by scientists who, for the past half-century, have been studying the collections conserved at the Hôtel de Sade. Augustus "loved her and held her in high esteem to the end without rival"
In January 38 BC. Augustus, for his 3rd nuptials, married Livia, the most important person in his life and with whom he remained until his death. When they met, Livia was already married to Tiberius Claudius Nero with whom she had two children (Tiberius, the future emperor, who was adopted by Augustus, and Drusus). At the request of Augustus, Tiberius Claudius Nero accepted to divorce. Livia was a clever and energetic woman. She had the reputation of being generous and encouraged Augustus to show mercy to his opponents. At the same time, she was suspected of a plot which allegedly led to the death of Marcellus, Gaius and Lucius, and left Tiberius as Augustus' only successor. She may also have been partly responsible for the exile of Agrippa Postumus, the last living grandson of Augustus, to the small island of Planasia. 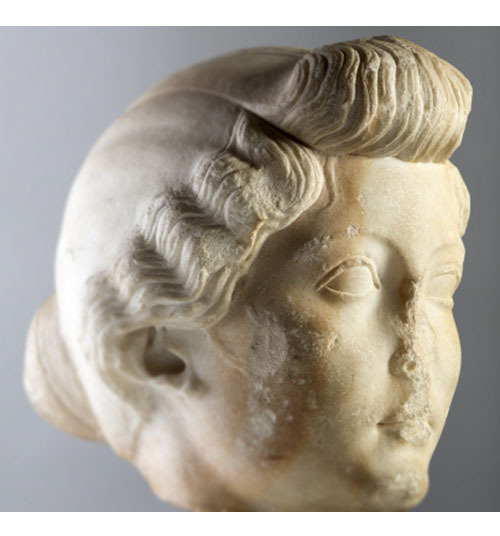 She was even suspected for the death of Augustus (she allegedly made him eat poisoned figs). Livia died at the age of 86. "By the purity of her domestic life, she kept ancient traditions alive, but she was of greater sociability than what was considered acceptable for women of that era; she was an authoritarian mother, a wife who closed her eyes and was in agreement with her husband's subtle methods and concealing her son"
The portrait of Livia exhibited at the Hôtel de Sade was discovered in Glanum in the well between the two "geminated temples" in 1951. It dates from 4-14 AD. It is in white marble and measures 22.5 cm in height. Pierre de Brun, an early twentieth century archaeologist, was born in Mauriac, in Cantal on 16 November 1874. He was the collector of the Domains and passionate about Geology, Palaeontology and Archaeology. His works are the source of the significant collection now housed in the Museum of Palaeontology of the University of Provence. Pierre de Brun travelled around and excavated many places, such as the Alpilles, the Causses and the borders of the Cévennes, as well as the Massif d'Uchaux in the Vaucluse and the Provençal secondary mountain ranges. He gradually gathered a rich collection of fossils. He was responsible for conducting the excavations of Glanum, carried out in 1921, describing numerous archaeological objects and writing a Glanum guide, a posthumous work published by Marseille University Faculty of Sciences in 1942. Upon his arrival in Saint-Rémy, Pierre de Brun saw that many of the objects that had been found were neither grouped together nor protected or stored away. He wanted to put an end to this incoherent situation by creating a museum in 1919 in the Hôtel Mistral Montdragon. He thus became the curator of the Alpilles Museum. At his request, the building was classified as a monument historique. Recognised by his peers, the Academy of Marseilles awarded him the Prix Dassy. He was an officer of the Academy and a member of the Société géologique de France, the Société des statistiques, d'histoire et d'archéologie de Marseille and many other learned societies. Pierre de Brun retired in 1934 and enthusiastically continued with his finder work right up to his dying day. He died aged 66 on 4 August 1941. A distinguished humanist and man of honour and duty, he wanted his palaeontology collections to remain at the University of Provence after his death. Henri Rolland, born in Nice on 1 January 1887 and trained as an architect, was also an epigraphist and, most notably, a renowned numismatist. In 1924 he became a member of the Société française de numismatique. His research and findings were considerable; he was responsible for the exploration of the Ugium site (now known as the Oppidum of Saint-Blaise in Saint-Mître-les-Remparts). He was placed in charge of the excavations at the Glanum site and created the repository that conserves the collections in Saint-Rémy-de-Provence: the Hôtel de Sade. During World War II, he was mobilised as a reserve captain and was taken prisoner at Dunkirk, to be released in 1942. For many years this man of science played host to young archaeologists - students with whom he shared his knowledge and expertise. In 1955, he received the CNRS silver medal and several academy awards. Henri Rolland was also the Director of Antiquités historiques de Provence, Northern region, from 1956 to 1964. A member of many learned societies, Henri Rolland was the correspondent of the Académie des Inscriptions et Belles-Lettres in 1961. Over the years he was extremely active, even outside of his two major projects of Glanum and Saint Blaise. Henri Rolland, as was his wish, now rests in Saint-Blaise.